Swiss luxury watchmaking meets the high powered world of American Le Mans motor racing as Chopard introduces the Paul Miller Racing Limited Edition Mille Miglia GTXL. The watch comes in stainless steel or in 18k rose gold. 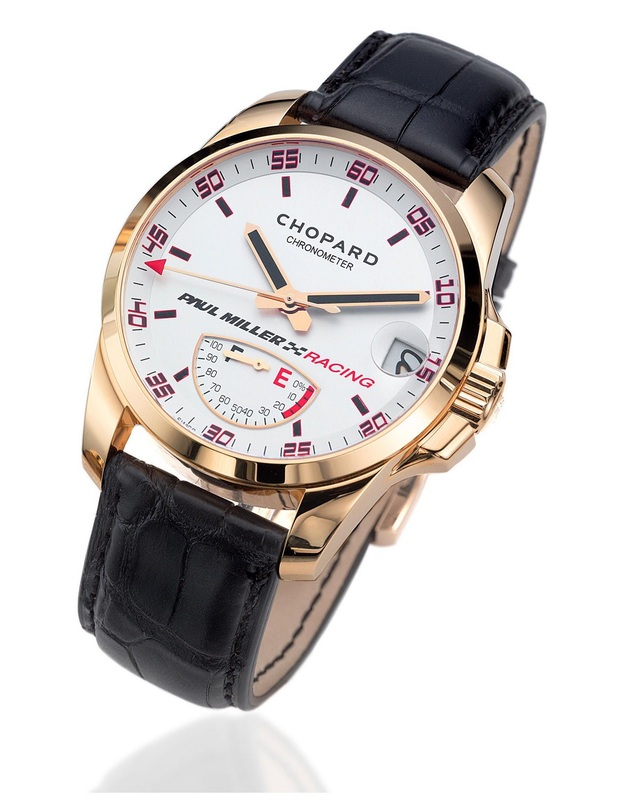 The watch is available with a leather or rubber tyre tread strap and set in 18k rose gold. Both timepieces will be available at select Paul Miller dealerships and the Chopard boutique in New York City. The watches are COSC-certified chronometers and water-resistant to 100 metres. The stainless steel version will be produced in a limited series of 100 pieces, while the 18k rose gold model is limited to just 25 pieces. 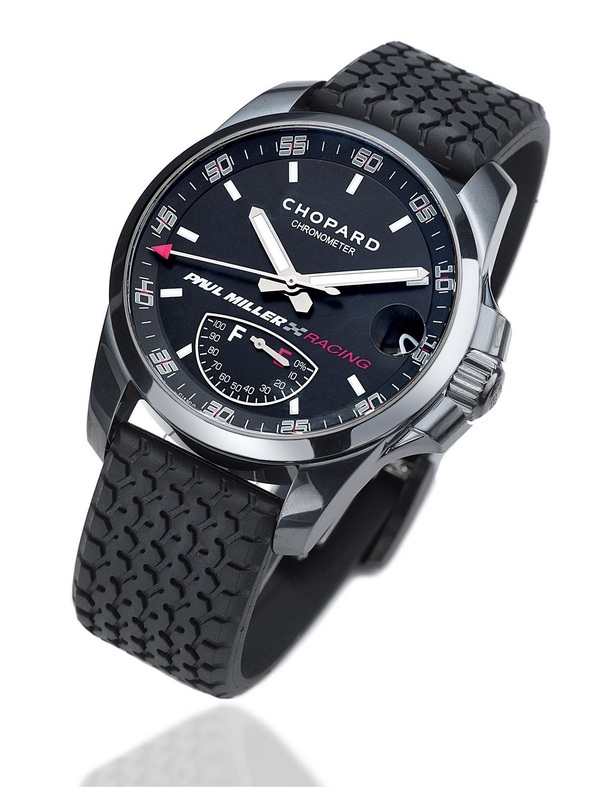 Chopard already enjoys a significant presence in the motorsports arena through its sponsorship of Italy’s Mille Miglia 1,000-mile drive from Brescia to Rome, and the Grand Prix de Monaco Historique race. “We are pleased to join forces with the Miller family. They have a strong passion for the sport that is shared with the Scheufele family. The Paul Miller brand is respected and trusted in the fine auto industry. The core values of both brands align to create a strategic and beneficial relationship.” Marc Hruschka, Chopard USA President & CEO. The Paul Miller Racing Limited Edition Mille Miglia GTXL in stainless steel retails for $9,650. The 18k rose gold version won’t leave the store for less than $26,010.